Over 30,000 low paid workers stand to benefit from a rise in the 'UK Living Wage' rate worth up to £400 a year recently announced during Living Wage Week at the start of November, because they work for companies signed up with the Living Wage Foundation as a Living Wage Employer. The UK Living Wage Scheme is essentially a voluntary, accredited scheme spearheaded by the Living Wage Foundation (an initiative of Citizens UK) intended to improve the lot of low paid workers. The rate is set independently and updated annually each year. It is calculated according to the basic cost of living in the UK. There is no obligation on employers to pay the UK Living Wage and they chose to do so on a voluntary basis. The Living Wage enjoys cross party political support, with public backing from the Prime Minister and the Leader of the Opposition. "[the Living Wage... ] is about employers taking a lead and tackling the problem of low pay. The Living Wage has become a must have badge of honour for employers. By looking out for the Living Wage badge you can now choose to support businesses that are doing right thing. It works just like Fairtrade and will grow even faster with consumer support." To this end, the Living Wage Foundation offers accreditation to employers that pay the UK Living Wage, or those committed to an agreed timetable of implementation, by awarding the 'Living Wage Employer' mark. The Living Wage Foundation also provides advice and support to employers implementing the Living Wage including best practice guides; case studies from leading employers; model procurement frameworks; access to specialist legal and HR advice. In addition, the Living Wage Foundation is intended to provide a forum for leading employers to publicly back the Living Wage, working with 6 Principal Partners (Trust for London, KPMG, Linklaters, Queen Mary University of London, the Resolution Foundation, Save the Children, Aviva and the Joseph Rowntree Foundation) who bring financial and strategic support to the work. The UK Living Wage rate has been increased in London by 25p to £8.80 an hour as announced by Mayor of London Boris Johnson at Great Ormond Street Hospital during Living Wage Week at the start of November. This figure is set annually by the Greater London Authority and covers all boroughs in Greater London. In the rest of Britain it has been increased by 20p to £7.65 an hour. This figure is set annually by the Centre for Research in Social Policy at Loughborough University. Since 2012 both Living Wage figures have been announced annually in November of each year. Employers should implement the new rate as soon as possible and within 6 months of the annual announcement. There is no legal redress open to workers employed by business that are not accredited as Living Wage employer or which do not implement the new rate even if they are (although failure to do so would most likely result in their being removed from the scheme). The current UK Living Wage rate is substantially more than the current rate for the national minimum wage. Standard adult rate. Currently £6.31.This rate applies to workers aged 21 or over (there is no upper age limit) (National Minimum Wage Act 1998). Young workers rate. Currently £3.72. This rate applies to workers aged under 18 but above the compulsory school age who are not apprentices (regulation 13(2), NMWR 1999). Apprenticeship rate. Currently £2.68. This rate was introduced in October 2010 and applies to apprentices under 19 years of age or those aged 19 and over but in the first year of their apprenticeship (regulation 13(3), NMWR 1999). If an employer provides a worker with free accommodation, some of its value can be counted towards NMW pay (regulation 36, NMWR 1999). This is the "accommodation offset". An employer cannot offset more than the accommodation offset limit. These figures are reviewed annually, following recommendations by the Low Pay Commission and new rates published in October each year. In contrast to the Living Wage, a worker who does not receive the NMW has various forms of legal redress. He or she is entitled to bring a claim for unlawful deduction of wages in the Employment Tribunal under section 13 of the Employment Rights Act 1996. Such claims must be brought within three months of the date of deduction (that is, the failure to pay the NMW) or the last in a series of deductions. There is no limit on the length of arrears that can be claimed, provided it is all part of the same series of unlawful deductions. There has been a 450 percent increase in the last year in employers signing up to the UK Living Wage scheme. It has been championed by campaigners as not only morally right but also an effective business tool with commercial benefits. It is presented as a way of encouraging staff loyalty and retention. By reducing staff turnover it is argued this also has the effect of reducing cost and increasing productivity. Firms currently signed up to the voluntary scheme include house hold names as diverse as Barclays, Lloyds, Aviva, Oxfam and Brighton & Hove Council. Despite this, some major retailers (mentioning no names!) remain reluctant to sign up. In a speech to the CBI as part of Living Wage Week , Labour leader Ed Milliband proposed offering a tax break worth £1000 per employee for employers signing up to the UK Living Wage Scheme. At the same time, Mayor of London Boris Johnson has also applied pressure on London businesses, giving an interview to the Evening Standard as part of Living Wage week he said they would be "crazy" not to sign up to the London Living Wage and telling them "you will not regret it". Without the same 'legal teeth' that NMW legislation has to enforce payment, it remains to be seen to what extent going forward uptake of the UK Living Wage Scheme will be beyond those employers already committed to the scheme. 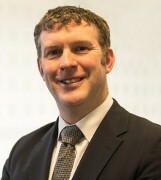 Julian Cox heads the Employment Law team. He is a specialist employment law solicitor with over fifteen years' experience and covers all aspects of employment law. Fletcher Day is a full-service commercial law firm located in Central London, who advises UK and international client base on a broad range of legal matters.